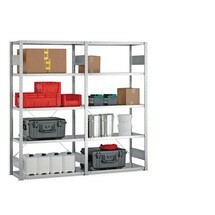 This complete package of the META shelf rack comprises 1 base and 2 add-on units, thus offering an optimal storage solution. 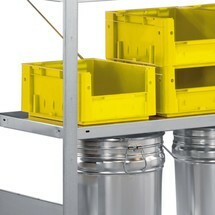 The bolted system and the included Allen key make assembly very easy. 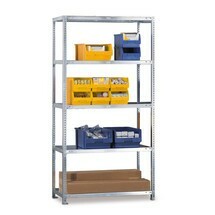 The shelf rack can thus be securely and quickly assembled. 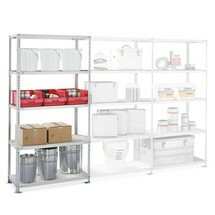 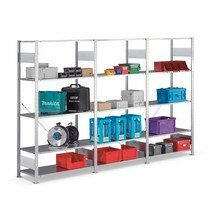 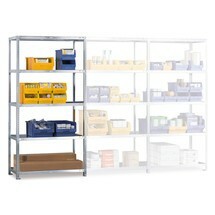 Each unit has 5 shelves with a load capacity of 80 kg per shelf. 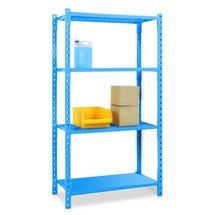 The shelves are made of high-quality steel plate with a 3-point safety edge, which means that the shelves do not warp under load. 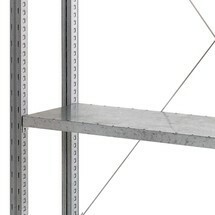 The punched holes in the frame enable the shelves to be mounted at any height in increments of 25 mm. 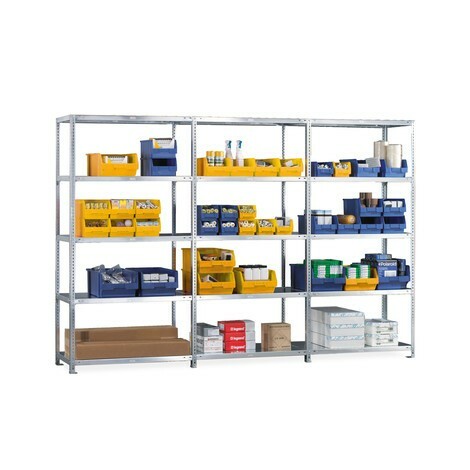 The galvanised surface of the shelf rack is durable and resistant to corrosion, making it ideally suited tor everyday industrial use. 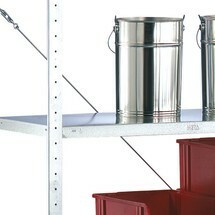 Flexible as both sides can be used. 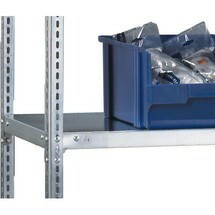 Purchase the complete META shelf rack package with bolted system from us here.